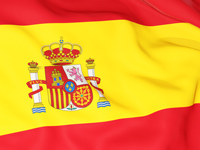 Spain Teaching Job - Competitive salary package + benefits! Great opportunity to join an expanding school in Spain! Teaching Job in Spain - Chemistry and Maths Teacher needed for an expanding school in Spain. Contact or send your CV to win@SeekTeachers.com NOW!! Social Science and Business Studies Teacher for the MYP curriculum needed ASAP in Spain. Register FREE to secure this amazing opportunity in an IB accredited school. Exciting IB Business with Humanities role in Barcelona! Send your CV to mn@seekTeachers and secure your role in Spain for January 2019!